All the female students were released to the gym after lunch to participate in our school’s first Women’s Health & Fitness Day. One of our staff members began her healthy lifestyle a year ago when her doctor told her she was borderline diabetic. She cried about her health condition, but decided to make a change for the better. This woman has lost 65 lbs over the course of a year by changing her eating habits, replacing sugary drinks with water and walking 5-8 miles a day! She is also responsible for starting up a Zumba class for the students to enjoy after school. I was a regular until I changed to morning workouts and got more into running. 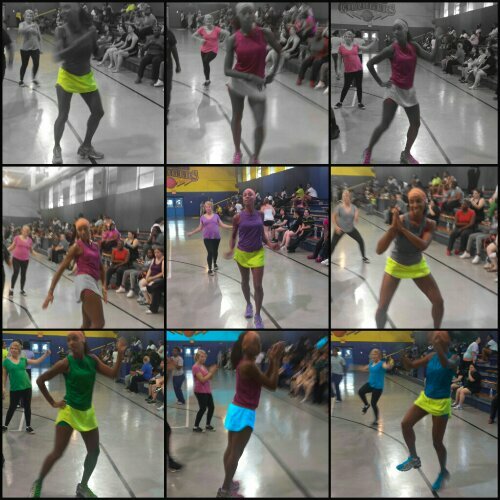 I have been to numerous Zumba classes and no one can touch Patti Cloar’s instruction. She relates well to the kids, stays current with music and gets the crowd hyped. 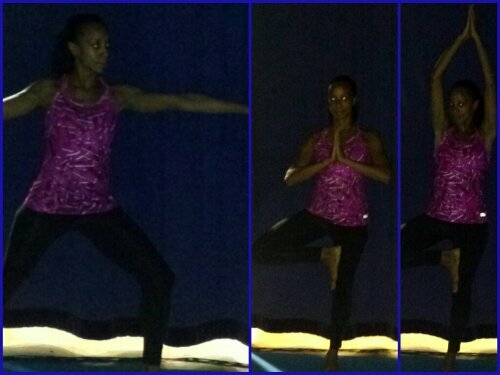 Ya Girl was able to dig into her Physical Education roots and teach four Yoga classes. I wasn’t thrilled about it at first because despite the health benefits, Yoga is boring and like a chore for me. My attitude quickly changed from the feedback my students gave me. We got a little silly with some floor poses with this reinvented “twerk” dancing. Some of the young ladies took the poses a little beyond yoga. I only had 25 minute sessions so I gave them as much information as possible. When I told them about the normalcy of someone passing gas it was a split second later before someone got very comfortable and blessed the gym stage! I told them “better out than in” and we went on to the next pose. 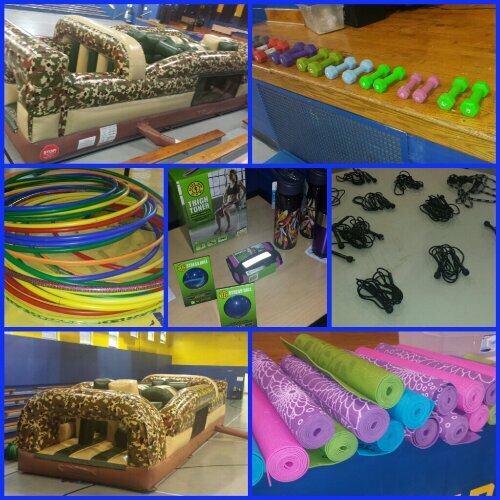 Besides Zumba and Yoga, we had an obstacle course, testimonies, weight and blood pressure station, oral health station, hula hoop contest and jump rope contest. The students were assigned to color groups and rotated to different stations. We had a ball and at the end was an impromptu booty hopscotch twerk session. Hey…it’s exercise too! This entry was posted in Uncategorized and tagged Education, Fitness, teaching, Yoga, Zumba. Bookmark the permalink. What a fun way to introduce the young ladies to life long activities. Great job! You are such a rockstar, lady!!! I love yoga. Love getting everything stretched out. Been doing it for 8 years. Thanks! I always feel better after I do Yoga, but getting started is the problem.